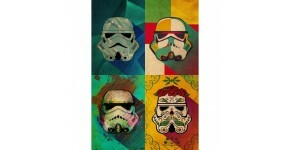 A metal stormtroopers poster is clearly intended for true fans of the Star War saga. The armed troops of the Empire on a wall decoration design gives a modern decoration and a very sought-after theme. Different kinds of metal wall posters are available on Artwall and Co, designed by interior decoration specialists. A whole range of stormtroopers is available on the site, displaying these soldiers looking identical and futuristic costume. The characters are always staged neatly, the armor impeccable, and ready to defend the system. You can also find the stormtroopers helmet in collector versions. The aluminum foil that supports this metal design is easy to fix thanks to a magnetic fastening system. A unique and original version of the famous StormTroopers! A colorful style for these well-known helmets from the Star Wars universe. The dimensions of the metal poster are 48 x 67.5 cm. Worldwide shipping for this wall poster. 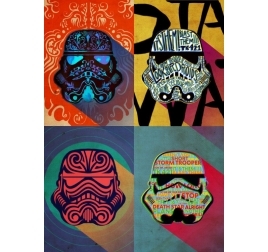 The pop art style on a Star wars design poster ! Our artist has declined the famous Storm trooper in the Calavera Mexican style. The dimensions of this Star Wars metal poster are 48 x 67,5 cm. 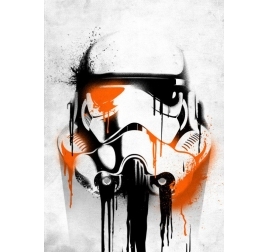 Free delivery in metropolitan France and Belgium for this Storm trooper metal poster. Our Stormtrooper in an international rock star ! This Star Wars poster is made entirely on a metal stand. The dimensions of this wall poster are 48 x 67.5 cm. Worldwide shipping for this modern star wars poster. An XXL representation of the Storm trooper on a metal poster. This Star wars wall poster is delivered with its hanging system. The dimensions of this original poster are 48 x 67,5 cm. 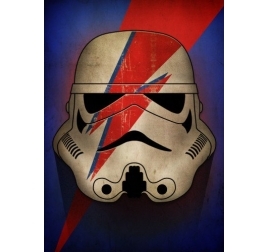 Free delivery in metropolitan France and Belgium for this Stormtrooper metal poster. All the symbols of Star Wars on en collector poster. Artistic and original interpretation of the stormtrooper on a metal poster ! Dimensions of wall poster are 48 x 67,5 cm. 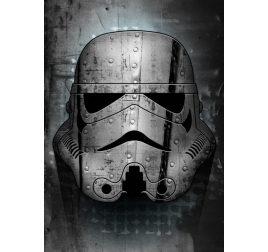 Free delivery for metropolitan France and Belgium for this Star wars metal poster. 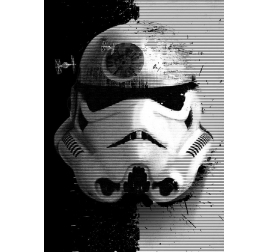 Industrial interpretation of the famous Stormtrooper’s helmet on metal poster. 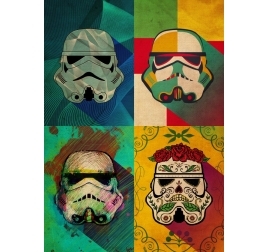 An ideal deco poster to add a Star Wars touch into you loft. Dimensions of this Star wars wall poster are 48 x 67,5 cm. 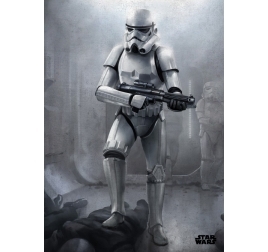 Free delivery for metropolitan France and Belgium for this metal poster of Stormtrooper.